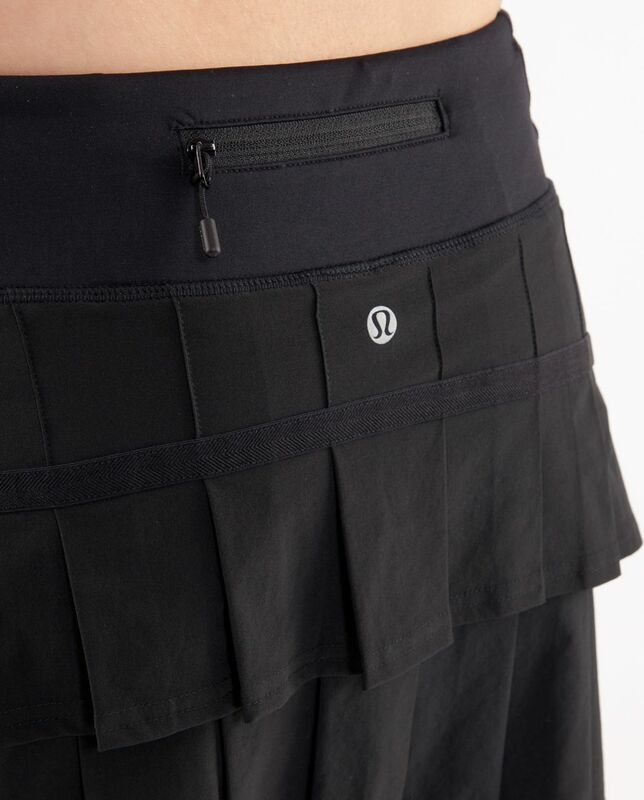 We made this running skirt to complement your long strides. We included built-in shorts so you can feel confident no matter how large you leap. The shorts have sticky elastic on the hem so they don't roll up.